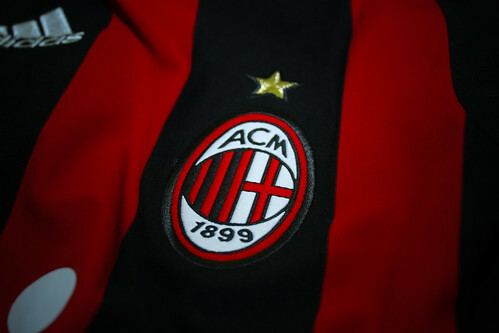 Ac Milan’s exciting transfer market this summer looks to continue as reports from the media claim that they are still looking for another defender which will be projected as Alessandro Nesta’s future replacement. According to the press in Portugal, the Rossoneri is eying to make an audacious bid worth around 20 million Euro for Benfica’s talented defender, David Luiz, who has also been approached by other big teams such as Chelsea and Real Madrid. Milan’s interest on the highly rated young defender is not surprising aside having already been linked with the player from last summer, Luiz is currently being partnered with the Rossoneri’s Thiago Silva in the Brazilian national team. That two players partnership have been pretty good up till now and that might the strong reason that triggered the red and black squad’s decision in finally trying to submit a bid for the versatile defender. However, considering the Rossoneri’s bargain market habit this days, the media outside Portugal doesn’t believe that the Italian giant are willing to splash out 20 million for a young and yet to be proven defender. Italian press thinks that Milan will try to get a reasonable price for the defender and might consider other options should they failed to make the agreement. The chance for Milan’s success in making a bargain offer to Benfica is pretty big considering the Portugal team’s current director is a former Rossoneri star, Manuel Rui Costa, who has a very close relationship with the Italian club and it’s management. Previously, Rui Costa has also said that he will give a special treatment for the fashion capital club should they ever have an interest in one or two of Benfica’s players. Should somehow can’t be done, the press believes that Il Diavolo Rosso also prepares other options that are cheaper such as Paris St Germain’s Mamadou Sakho and Cagliari’s Michele Canini are amont that list. Aside from center backs, the Rossoneri are also keen in signing new full backs and have already targeted some names including the likes of Gareth Bale (Tottenham Hotspurs) and Mattia Cassani (Palermo).